In Sennewitz in Saalekreis in Saxony-Anhalt the Green Energy 3000 GmbH constructed a solar part conforming to the German Renewable Energy Act EEG within two weeks.This might be a record! Following the ground breaking to establishing the site access road on 8 January, the first frame posts of the Habdank PV-Montagesysteme GmbH & Co. KG were rammed to begin laying the first solar modules only a few days later. The three transformer stations, in which six inverters from the producer GE Energy / Power Conversion are used, were already able to be established on 18 January, 2013 and installed by the PV Thüringen GmbH. There are 20,424 solar modules of type Hanwha SF220 Poly 245 on the approximately 8.7 ha sized area. This means the park, divided into two fields, produces a total of 5 MWp. Therefore the photovoltaic park produces 4.98 Million kWh of green emission-free power with which over 1,600 households can be supplied. During its running time of at least twenty years, the solar park therefore saves the environment 3,300 t in CO2 emissions per year. Thus we achieve a significant contribution towards the expansion of regenerative energy in Saxony-Anhalt. 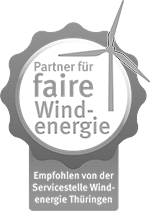 The Green Energy 3000 GmbH would like to express thanks for the first-class cooperation with all subcontractors, suppliers, and construction companies, without which the construction would not have been possible in such short time. Watch our time-lapse video in the media area and watch how the solar park Sennewitz was created.